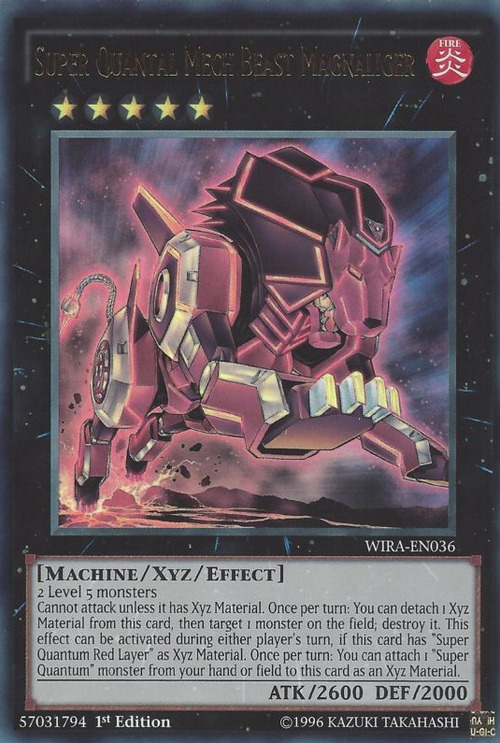 This card's name is a portmanteau of Magna and Liger, which itself is a portmanteau of Lion and Tiger. This monster forms the body of Super Quantal Mech King Great Magnus, as seen in Super Quantal Combination - Magnaformation. This monster appear in the artwork of Super Quantal Mech Ship Magnacarrier.